When in 1935, French actor, cabaret singer and entertainer Maurice Chevalier (1888 – 1972) was asked to list the 10 most beautiful women in the world, he named Anna Sten, Marlene Dietrich, Greta Garbo, French actress Annabella, Loretta Young, Merle Oberon, Clara Bow, Kay Francis and others. In Hollywood, the mid-1930s Anna became famous for her ability to pick up jewellery and clothes. 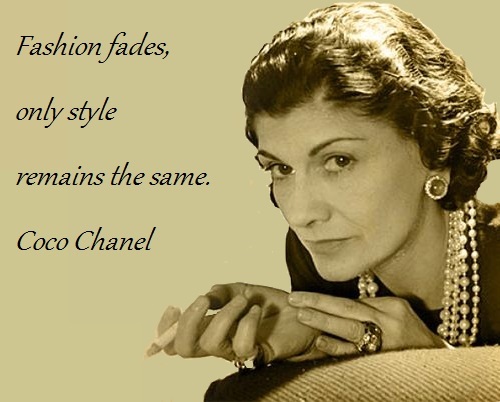 American film producer and studio executive Darryl Francis Zanuck (1902 – 1979) said that she dresses better than anyone he had ever seen. 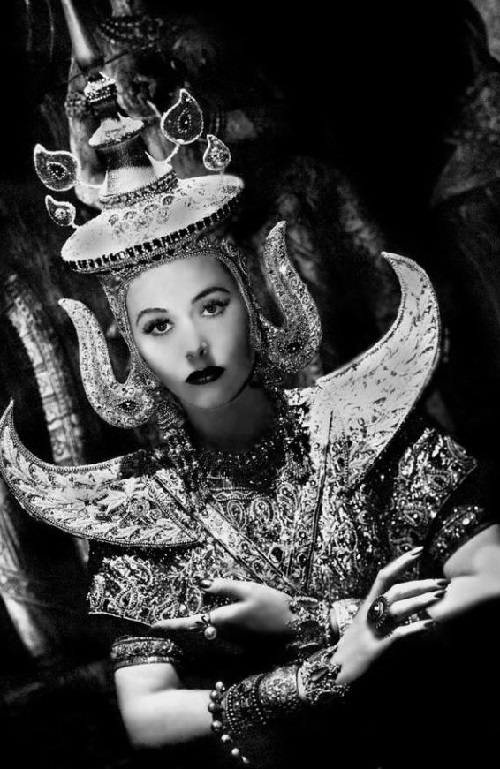 A female director Dorothy Arzner (1897 – 1979) filmed Anna Stan in drama “Nana”, put her on a par with Garbo, Miriam Hopkins, Katharine Hepburn and Ruth Chatterton in his list of the most glamorous actresses. An actress known within the film industry as ‘Hollywood’s Beautiful Hack’ because she starred in so many mediocre movies. In a career that began in earnest in 1927, Young appeared in more than 90 films, yet she was personally memorable due to her big doe eyes and high cheekbones; she was truly one of Hollywood’s most striking beauties. She was one of the first actresses to win an Oscar and an Emmy award and to command a six-figure salary. 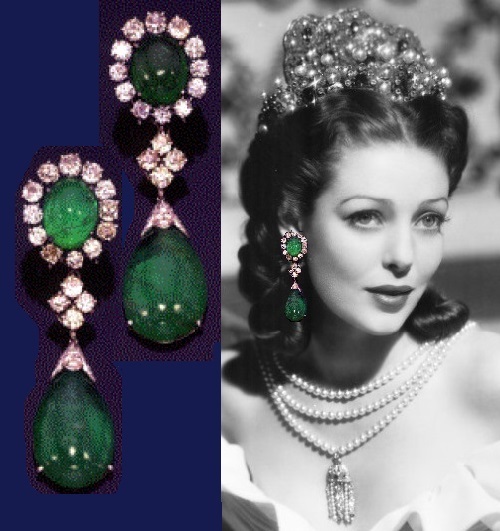 A true jewellery lover, Loretta Young could afford a large collection of expensive high, as well as costume jewellery. Looking through her photographs, one can hardly find Loretta not wearing clips, a necklace, a brooch or a bracelet. Loretta Young was synonymous with the glamour, that was Hollywood in the 1930s and 40s. In the above photo Loretta Young wears a cabochon emerald and diamond brooch/ear-clip combination, the brooch by Ruser, circa 1960 (est. $10/15,000) which is designed as a floral spray set with two large pear-shaped cabochon emeralds capped by round diamonds, surmounted by a diamond-set curling ribbon. Almost every woman has a collection of decorations and jewelry. Someone is interested in vintage and antique patterns, which, in some cases results in a gallery of jewellery. Such jewellery collection had the famous Mexican painter of Spanish, Indian and Jewish origin – Frida Kahlo. Frida lived a few years in the US, where she bought Indian jewelry. The basis of her collection – rings and necklaces of bone, turquoise. The artist searched real antiques from pre-Columbian era, however, often these things cost very cheap. Many photos and self-portraits depict her rings, necklaces and bracelets. Frida wore multiple rings on her left hand, because it was uncomfortable to wear them on the right hand, they interfered with paint. 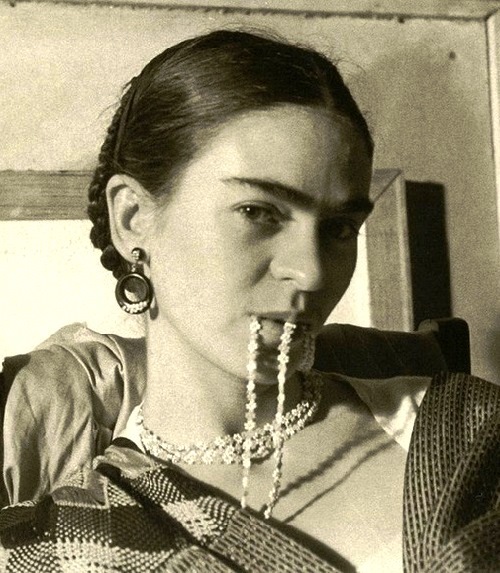 Frida could wear a very little clothing, but there was always a lot of jewelry. Austrian actress of the 1930s and 1940s, Hedy Lamarr was frequently called the most beautiful woman in motion pictures. Not to admire her beauty is simply impossible. Look at the jewelry, she wore – pearl necklaces, earrings, bracelets and brooches. Generally, in those years, for movie and advertising photography actresses wore their own decorations. The taste of the actress is elegant and flawless. She will forever be remembered not only as one of the most beautiful women ever to grace a motion picture screen, but also as a smart woman.